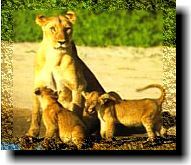 Masai Mara is located in Kenya, East Africa and covers an area of 1500 sq km approximately. Masai Mara is known as the �Jewel of Africa�, a national reserve with the largest and the most spectacular wildlife migration in the world . It is situated on Maasai land. With a concentration of game superseding most national parks in Africa, Kenya, the Masai Mara offers an 'Out of Africa' experience. Masai Mara National Reserve's varied topography ranges from woodland to savannah grassland to riverine forest, and encompasses a great diversity of wildlife including the �Big Five� i.e. lion, leopard, buffalo, elephant and rhino. 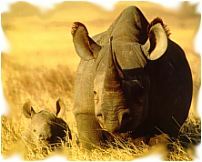 The Masai Mara in Kenya is a must for all first time safari game viewers. While safari game viewing at Masai Mara National Reserve, the tracks cover every corner of the Mara reserve; game viewing on foot or specially on Masai Mara balloon safari adds an exciting dimension to your African safari. Within the boundaries of the reserve and just outside, there are several Masai Mara safari lodges and camps you could stay at. The annual migration of an estimated 2.2 million wildebeests across the Mara - Serengeti ecosystem is the largest wildlife migration in the world. 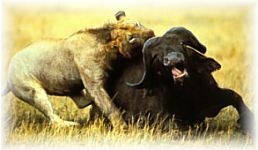 The Mara lions are considered the finest in Africa. They are not only abundant but also easily recognizable by their fabulous huge manes. The shy and largely nocturnal Mara leopard inhabits dense riverine areas. For most visitors, the sighting of a leopard is the highlight of their visit to the Maasai Mara in Africa. The outlying areas of the Masai Mara is home to the Maasai people, a group of pastoralists who migrated southwards from the Nile areas in the mid 1600s into southern Kenya.